Wat Sangharatanaram is also known as the Gold Coast Thai Temple. 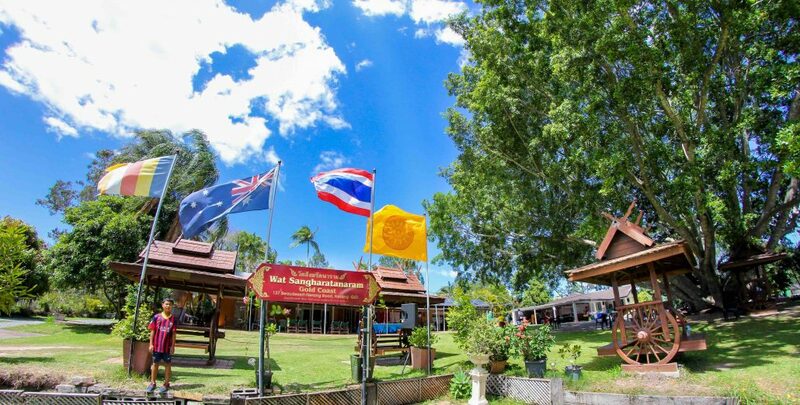 The Gold Coast Thai Temple has been established now for nearly 15 years, located at 137 Beaudesert-Nerang Rd, Nerang QLD 4211. This Saturday being Magha Puja, which is the day which commemorates the day of Sāvakasannipāta, which is the day that 1250 Arahant Bhikkhu (in Theravada Buddhism, an arhat (Sanskrit; Pali: arahant-; “one who is worthy”) is a “perfected person” who has attained nirvana) who were monks ordained by Gautama Buddha himself (Ehi Bhikkhu). On this occasion the Buddha gave those Arahants the principles of Buddhism, called “The ovadapatimokha”. Those principles are: To cease from all evil; To do what is good; To cleanse one’s mind. 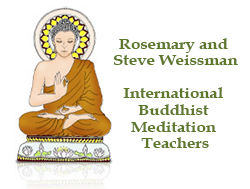 In Thailand, this teaching has been dubbed the “heart of Buddhism”. This day is celebrated at Wat Sangharatanaram with many activities from the morning through to the next morning. I was scheduled to attend the afternoon meditation session and talk with the monks as planned at 2 pm. I learned of some of the activities for the day and decided to attend in the morning. I was accepted, encouraged and involved in the ceremony by people I had never met before. I made merit offering to the monks and participated in the morning activities including a daytime version of the procession or “Wien Tien” It was a very good day to learn some of the practices at the temple and meet some of the “Sangha” or temple group. After which I participated in the meditation and instruction as scheduled. I was invited and encouraged to take part in the evening activities which mirrored the day activities and the proper time for the candlelit procession or “Wien Tien” in the evening. This also involves chanting and meditation over night finishing in the morning. Unfortunately I had not planned to do this and was unable to attend the evening activities. I will be certain to include this in my plans for the future. Monks and facilities are provided for daily conduct of chanting, meditation, Dhamma talks and receiving offerings for merit-making of individuals and families. Monks can be invited for their one daily meal outside the temple. Functions are held on commemorative occasions for attendees to experience customs for merit-making, food offering, devotional practice and sermons familiar to Thai Buddhists in the Theravada, Dhammayuta tradition. Accredited teachers give lessons to young children of Thai migrants, to introduce them to the language, customs and values of Thailand. All monks and lay persons at our temple are volunteers. The temple is supported by donations from acceptable sources. Some fundraising is conducted externally to the temple. Suitable grants are sought from government and philanthropic organisations. If you wish to visit the Gold Coast Thai Temple, please know that we are open 7 days a week from 09:00am. We recommend if you are visiting to visit between the hours of 09:00am – 03:00pm.